Amamiya Shuuhei is a 5th grade boy whose wish is to become a pianist. At the school he transfers to, he is teased by a bully, Kinpira. 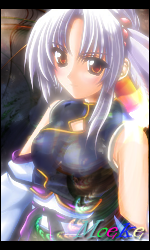 He orders Shuuhei to play a mute piano in the forest near their school. It is his classmate, Ichinose Kai who saves Shuuhei from the bully. Shuuhei however, insists that the piano will play and quarrels with Kinpira. 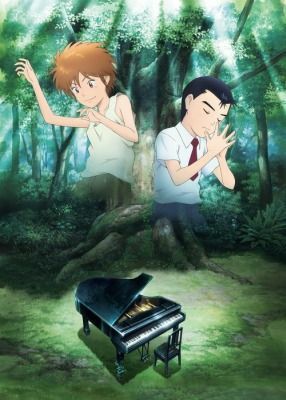 After school is finished, Kai asks Shuuhei to go to the Forest of the Piano. There, they find a piano shining beautifully in the light through the leaves. Strangely, Kai can make it sound while Shuuhei cannot, even though he has been practicing. Then, Kai announces, "This piano is mine", and dramatically plays the piano barefoot. His tone attracts an audience, and Shuuhei is greatly moved by Kai's performance. Kai, on the other hand, says he cannot even read music much less play the piano. This surprises Shuuhei, who has been studying diligently instead of playing with the other children in order to become a pianist like his father. Then, Shuuhei begins to think of Kai as his rival while Kai begins to love playing the piano. They are going to vie against one another while still being best friends. A story of friendship and impressive drama over the two boys unfolds on the screen.